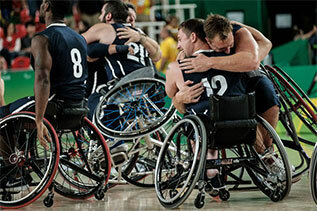 The Paralympic Values (courage, determination, inspiration and equality) are at the heart of the Paralympic Movement. Fundamental to I’mPOSSIBLE is young people’s understanding of, and engagement with, the Paralympic Values. It encourages them to demonstrate them in daily life; at school, at home and in their communities similar to how Para athletes demonstrate the values through their remarkable efforts and sporting achievements. Learning units currently available for Theme 1 - Paralympic Values are listed below. All units include a lesson plan and supporting materials. The Paralympic Games, what are they?